(VEN) - The Ministry of Hotels and Tourism and the Central Bank of Myanmar, in association with the Association of Vietnamese Investors in Myanmar (AVIM), the Joint Stock Commercial Bank for Investment and Development of Vietnam (BIDV), and the Hoang Anh Gia Lai Group, organized a Four Countries - One Destination conference in Myanmar in late July, aiming to promote tourism, finance, and banking cooperation between Cambodia, Laos, Myanmar, and Vietnam (CLMV). CLMV received 22.08 million foreign arrivals last year, up 12.7 percent year-on-year, and earned US$21 billion of tourism revenue, data of their tourism ministries showed. 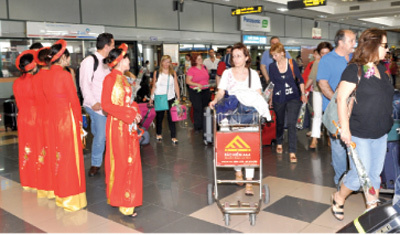 Vietnamese tourists to Laos and Cambodia made up two-thirds of the total regional visitor number (1.19 million to Laos and 0.99 million to Cambodia). The event saw four regional airlines, Angkor Air, Lao Airlines, Myanmar Airlines, and Vietnam Airlines, sign a cooperation agreement. Christianair Tour, Asia Reveal Laos, Myanmar Tourism Service, and Suntravel VNA also signed memorandums of understanding (MoUs) to promote tourism cooperation. Agreements in banking sector were also highlighted in the event. Banking cooperation agreements signed at the conference included MoUs between Lao-Viet Bank, BCEL, Canadia Bank, BIDV, Vatanac Bank, KBZ, CB Bank, and AYA Bank; and an MoU between Myanmar Payment Union Public Company Limited (MPU), the FPT Corporation, and the National Payment Corporation of Vietnam (NAPAS). 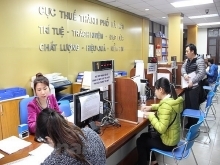 10 Vietnamese banks were operational in Laos and Cambodia by the end of June 2016 with total chartered capital of US$499 million. Five banks operating in Cambodia include BIDV, Sacombank, Agribank, MB, and SHB, five banks in Laos include BIDV, SHB, MB, Vietinbank, and Sacombank. These banks have shown their effective operations in Laos and Cambodia, actively contributing to the provision of credit for socioeconomic development in the two countries. This year, BIDV was the first Vietnamese bank to receive a license to open a branch in Myanmar with chartered capital of US$85 million, contributing to creating a new wave of Vietnamese investment in Myanmar in the field of finance and banking. AVIM President and BIDV Chairman Tran Bac Ha said BIDV pledged to assist Vietnamese businesses in seeking investment opportunities as well as in developing their investment projects in Laos, Cambodia, and Myanmar. The bank will report problems facing businesses and their petitions to the governments and ministries of the four countries, and arrange periodical dialogues between businesses and leaders of the governments and ministries of the four countries. Notably, BIDV will provide medium and long-term loans with reasonable interest rates for infrastructure investment projects that are designed to promote tourism connections between the four countries.